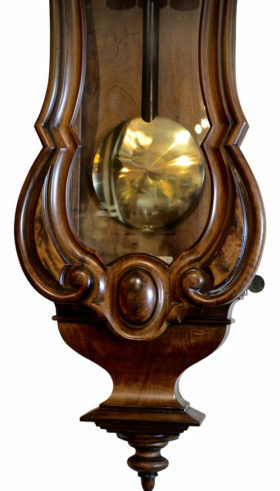 This Austrian Vienna regulator in done in a beautiful oversized fruitwood case. 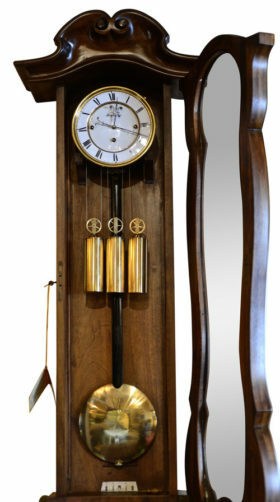 This clock houses a three-train weight driven 30-day running movement, and strikes the quarter hours on two coiled gongs. The elegant two piece porcelain dial is Signed Marenzeller.